CEI doesn't have public transportation service. You have to book for car rental in advance or look for Airport Taxi costs around 300 baht to go down town. 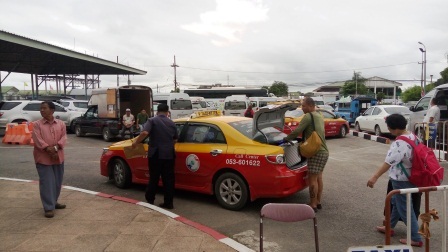 You can also find a line of meter taxi which costs around 150 baht (10 baht per km with 30 baht of extra charge from Mae Fah Luang - Chiang Rai International Airport (CEI Airport) to go city areas, at the parking lot in front of exit gate (left side of the building when you go out at the main gate) then, look for bright colored Taxi. 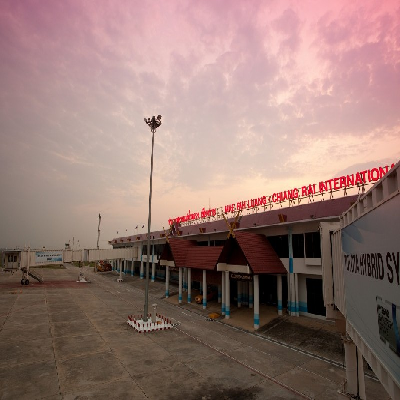 In addition the meter taxis are managed by a local company, Chiang Rai Taxi, where you can also contact their call center +66 (0)53 793 555, +66 (0)53 601 622 everyday for 24 hours for taxi booking services to get taxi booking from city or around the city areas. Pick-up time normally takes around 10-30 mins (upon your location), but it could take much longer during high seasons, so booking in advance is recommended!